Jeff For Banks: Three ways banks can support innovation in their markets. Three ways banks can support innovation in their markets. Why did Willie Sutton, famous bank robber from the 1920's to 1950's, rob banks? "Because that's where the money is." Sutton, by the way, denied the quote. But we can't deny it's true. 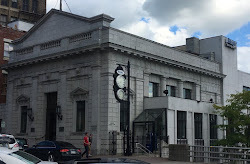 Financial institutions remain the place to go for money. So why do FIs opt for the sideline in participating more fully in innovation? I recently wrote on these pages that FIs should develop Shark Tank like processes to get early stage equity capital into the hands of nearby entrepreneurs to fuel growth in local markets. But bankers generally don't like to be at the tip of the spear in product and service offerings. In many cases, it's far too risky to undertake a strategic direction that has been untested. The potential for failure is greater. So we opt for making incremental improvements to business as usual. But in my opinion, business as usual is a riskier course. Better to innovate and go out swinging, than to remain mired in the past and go out with a whimper. But there are some leading edge bankers to use as your guidepost. Take Silicon Valley Bank in Santa Clara, California. 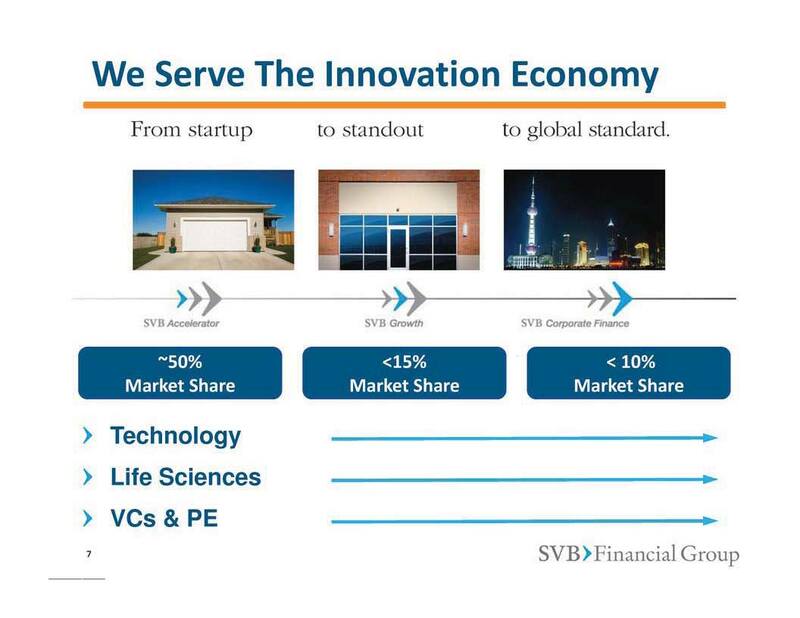 Here is a bank that nurtures start-ups from the garage to global distribution (see picture from their investor presentation). Through their Accelerator Solutions, they package products, expertise, and connections into one business unit to improve the likelihood of start-up success. The bank has maintained an ROA at or near 1% throughout the financial and economic doldrums. I understand SVB's location allows them to specialize in serving tech start-ups and venture capital firms. But innovation need not start in northern California. In fact, I would put to you that this region benefits tremendously by having nearby support systems that foster innovation. Your markets can too. And why can't it start with your FI? 3. Find creative means to get capital in the hands of promising companies. This can be done through equity funding similar to what I proposed in my Shark Tank post, partnerships with various VC firms and institutions such as nearby insurance companies, factoring firms, etc., or outright balance sheet lending so long as you put a wall around the risk. Should we continue to lament about our local economies or should we do something about it? P.S. Subsequent to this post, Inc. Magazine published an article It Might Be Time to Break Up With Your Bank describing great alternatives to bank financing for small businesses. Why can't we either do this lending or develop relationships with reputable lenders, as determined by our due diligence, and serve as brokers to this financing and advisers to our client?